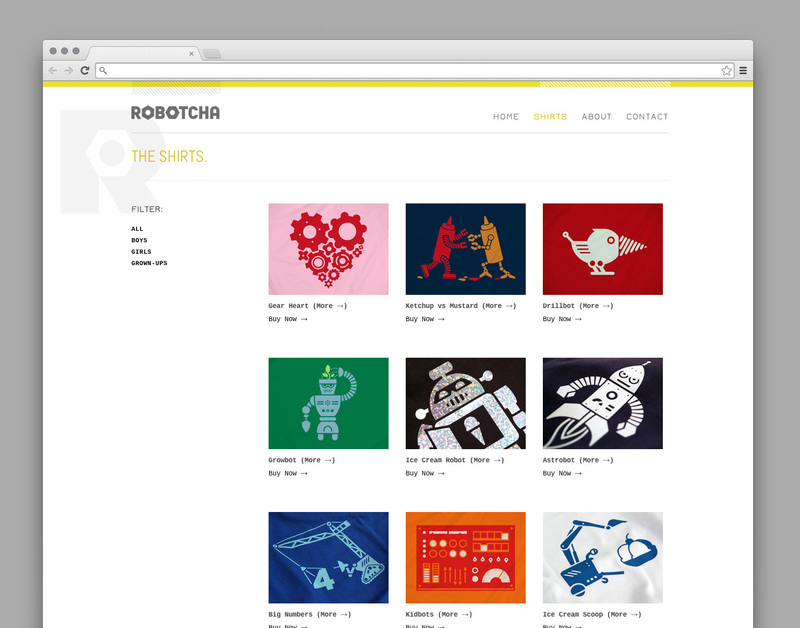 Robotcha is robot t-shirt design company. It is the brainchild of Finn and Shawn Hazen. Shawn is a grown-up and Finn is his kid. 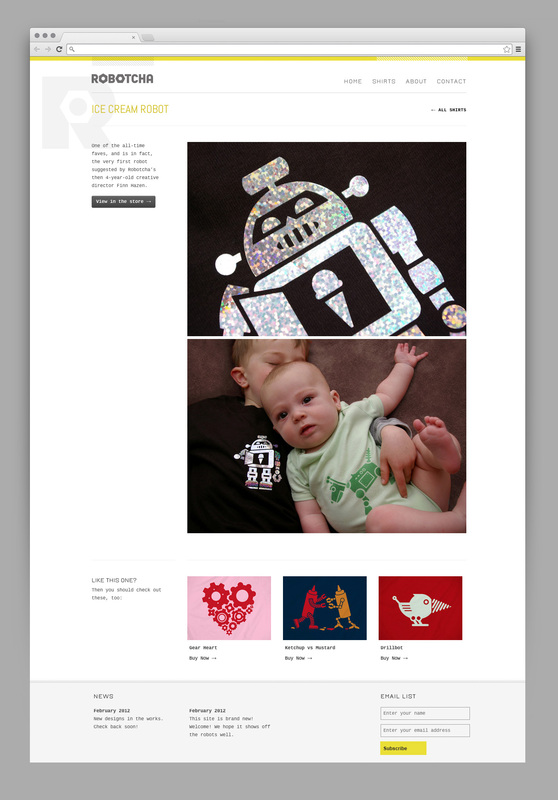 Finn loves robots, and came up with the name for the company. He also comes up with many of the ideas for new robot designs, which Shawn then implements. 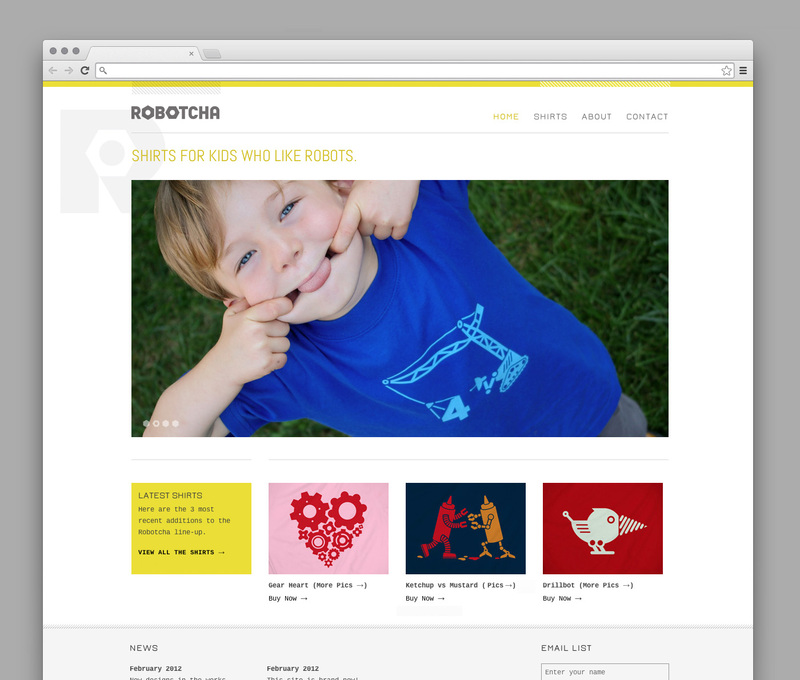 This ecommerce site design is the sole outlet for the shirts.